HYDRO-CARBON CLEANING: Safe. Effective. Smart. Let Us Make Life Easy! Let Us Wash & Fold For You! Either call in or sign up online to place a laundry or dry cleaning order with us. Let us come to YOU! 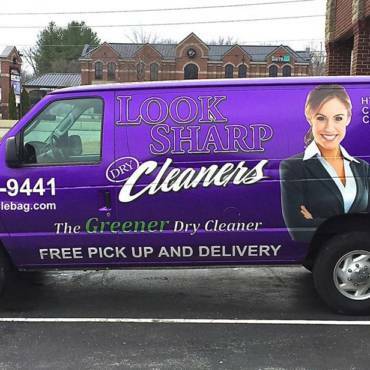 We’ll pick up your dry cleaning or laundry and return in two days, with no additional charge. 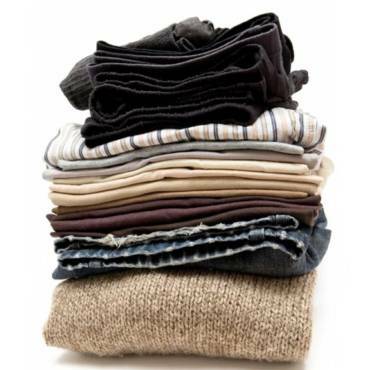 Enjoy peace of mind knowing your clothes are cleaned in our organic Hydro-Carbon solvents. Our door to door delivery service saves you time. Call us today to schedule a pick-up. I dropped off a blouse that I was thought would be a total loss. I never expected to get it back looking brand new!! Thank you!! We have ALWAYS had the best of service and our clothes ALWAYS come back looking BETTER than we dropped off. Sometimes, a miracle does occur and a stain that we have exhausted ourselves trying to remove, they seem to get it done. WE love this place and the people that serve us weekly. Love the drive-thru service, friendly faces, and convenient location to my work! Super place . I've found my new cleaners !!! LOOK SHARP will "go the extra mile," at a very modest cost. Mgr. Ms Brittany met me at the door, with a beautiful SMILE, called me by name, & handed me my cleaning. Brittany, Monica, & staff are such class people. Since moving outta state, I bring my cloths back to BG, since they do the best job, for less cost !!! Best Cleaners in BG!! They are always so helpful and considerate. Shirts are returned not only cleaned and pressed but they have no cracked buttons. We have tried other cleaners over the years but continued to have shirts returned with no or cracked buttons. Look sharp is the Best!! Thank You for your professional service every week! I love Look Sharp! They clean and press my clothing so well; and can remove just about any stain! Jana at the Greenwood location has great customer service and is always so fast and efficient. She never has a bad day and always has a smile on her face. I love seeing her weekly! *Please contact us for pricing on household items or other inquiries. **All items are subject to additional charges for delicate fabrics, styles, & accessories (i.e. linings in garments, silk, rayon, ruffles, beading, sequins, pleats, etc.) that require special handling. Drop Your Laundry Off Today! Bowling Green’s ONLY perchlorethylene free dry cleaners with the latest in Hydro-Carbon cleaning technology, using only 100% biodegradable solvents, soaps, and bags.